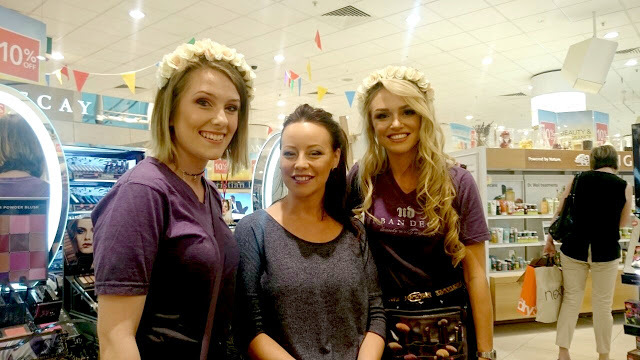 Last month, myself, Alice and Tanya descended upon Basingtoke to attend their beauty gala event, which I was super excited about as anything that includes a make up counter makes me very happy. When we arrived, we were greeted by the lovely staff members with an assortment of snacks and drink (best way to my heart) and introduced to Davina who oversee's all the beauty/perfume counters in store. Davina then took us on a tour around the counters to meet each of the consultants and gave us an insight into the neatly presented counters. I had a really nice time and felt very welcomed by the Basingstoke Debenhams team. They are most definitely my favourite Debenhams store. Thank you so much to Davina and the rest of the team. wow ! what a great day you must had ! great post . Nice details that you provided in above post, but i want to ask how can i replace my order through Debenhams Customer Service Number? I like this place. I was here the other night, I've been there for about four or five hours and found the prices reasonable on all fronts and the staff to be so friendly. I would be the perfect person to have on an infomercial for this Chicago event space if they ever had one.